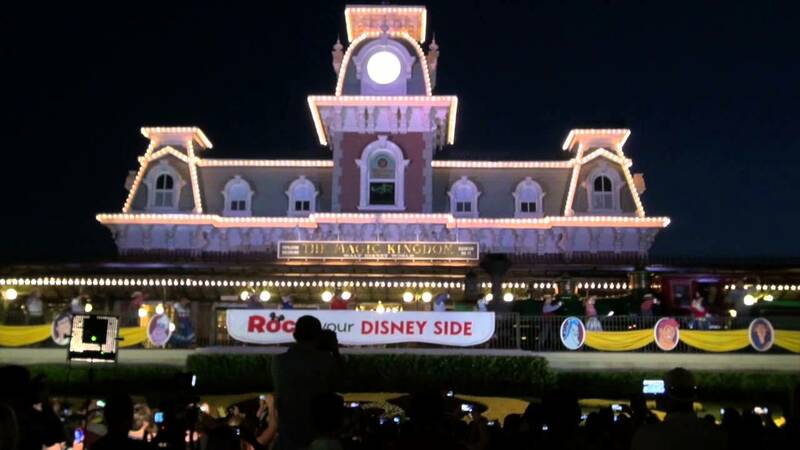 Want to watch Main Street U.S.A. for 24 hours, live? The Magic Kingdom will once again host a 24 hour party from 6:00 AM to 6:00 AM, May 23 to May 24, 2014. You and your family are invited to dress up for the occasion and join a gathering of Disney heroes and villains for 24 hours of fun and follies—along with a selection of beloved attractions, popular shows and classic entertainment only Disney can bring to life. Friday: 10am featuring Disney heroes, 1:30pm featuring Disney villains, 5:45pm featuring voters favorites, Main Street, U.S.A.
Friday: 8:45pm, 9:45pm, 11:45pm, Main Street, U.S.A.
Saturday: 5:50am Railroad Station Main Street, U.S.A.
From Walt Disney World Resort hotels, bus transportation is set to begin at 5:15am on Friday May 23 2014, continuing through the entire 24 hour event. Resort launches will start at 5:15am. If you are arriving by car, the Transportation and Ticket Center parking lot will be opening at 4:30am on May 23 2014. The ferry boat and monorail service from the TTC to the Magic Kingdom will begin at 5:15am. The Resort monorail will be operating from 5:15am on May 23 to 3:30am on May 24, then from 5:30am on May 24 to 1am on May 25. The Express monorail will be operating from 5:15am on May 23 to 7am on May 24. The Epcot monorail will be operating from 8am on May 23 to 1am on May 24, then from 3:30am on May 24 to 11pm on May 24.